Owning a restaurant business is not easy. There are a lot of competitors that you have to one up. But, with a good marketing strategy, you have bigger chances of taking the lead from them. 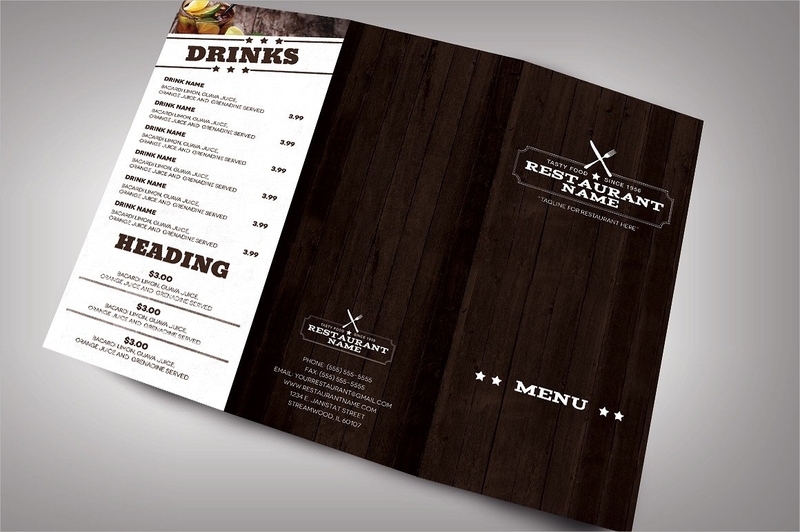 You can start with your own brochure that has everything about your restaurant from the food to the staff. There are Printable Brochures that you can edit and complete. 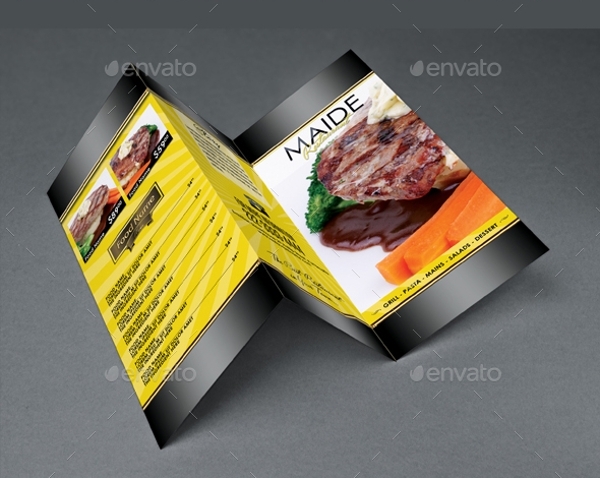 These brochures come in different styles and folds to meet the specifications you need. In some templates, you will find more images in there than texts while some are the opposite. Know what you need and find them from the samples you see below. History and branches. Use the brochure templates to introduce how you started and some important things people need to know about you. This includes the branches you have established, your goals in the future, and things of the same context. Summarize your content to keep it interesting to those who will read it. Best sellers and food services. 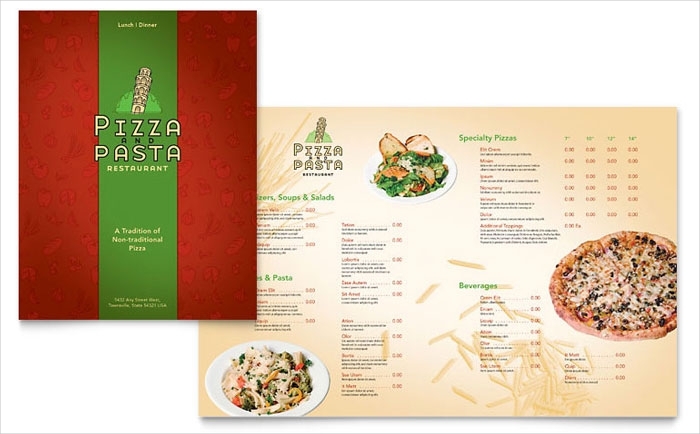 The highlight of your brochure would be the food types you have to offer. This does not necessarily mean you have to put your whole menu on the reading material. Choose your best sellers and your specialty to make known to readers what they should not miss when visiting your restaurant. Compliment your convincing words with appetizing photos that make it so hard for readers to resist your menu. Use a free brochure download that can fit bigger sizes of photos. Staff commitment and customer response. Introduce a few of your staff on your brochures, especially your head chef and sous chef. You can get some statement from them as a sort of promise about the quality of food they bring to the table. In the same way, you can gather comments from critics and sight the good ones, including their ratings on the brochure. Themes and patterns. 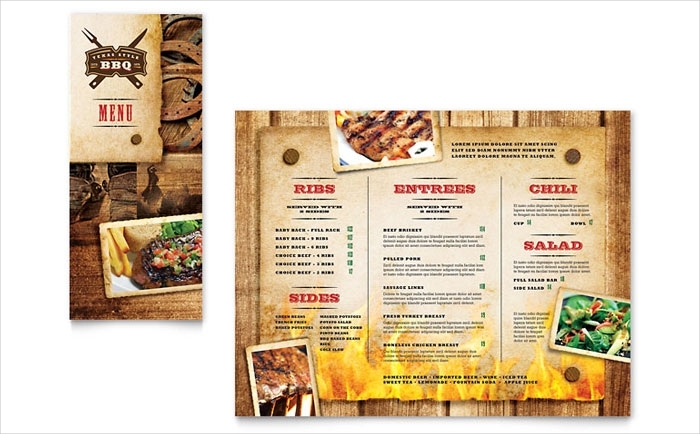 Do you have a theme for your restaurant? Why not apply it on your food brochures? 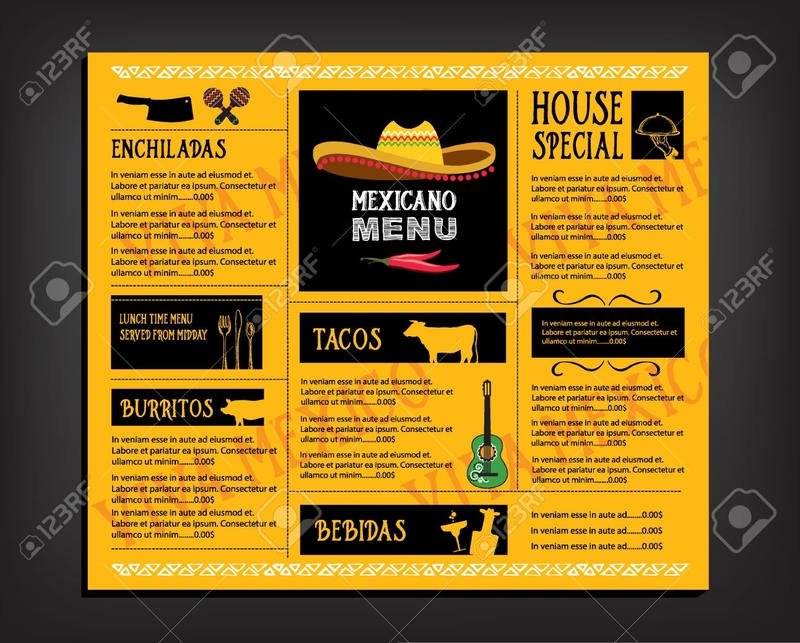 It would seem appropriate to see a Mexican-inspired brochure for a Mexican restaurant, in the same way, an Italian-inspired brochure for an Italian restaurant. 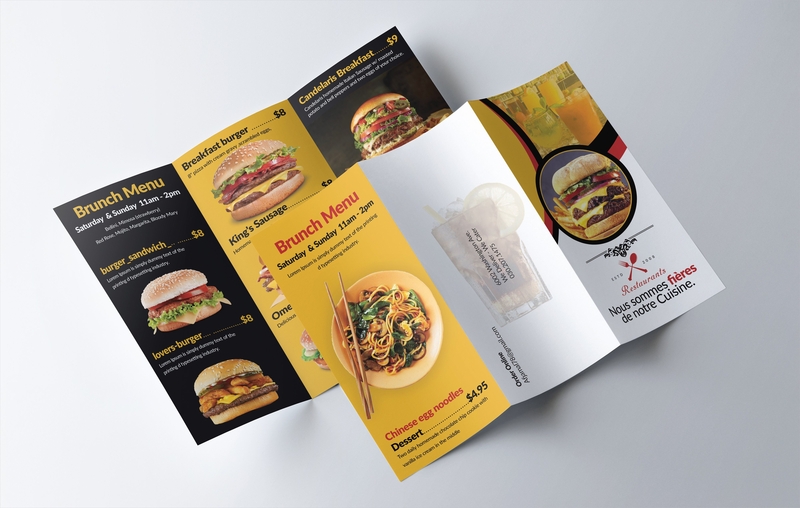 But, if you prefer your brochure designs to be neutral, you can utilize patterns like vintage patterns and textures instead. Color scheme. 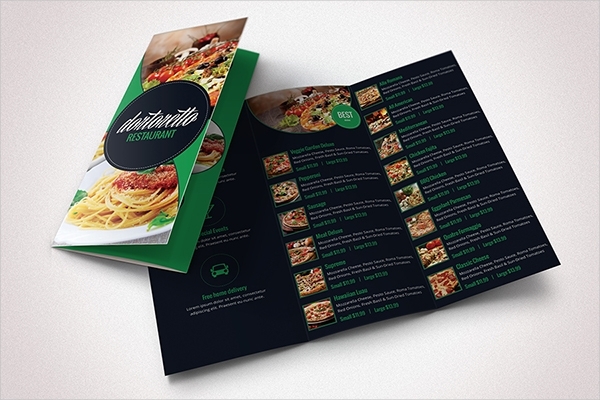 Like any other design, colors are important in your restaurant brochures, too. 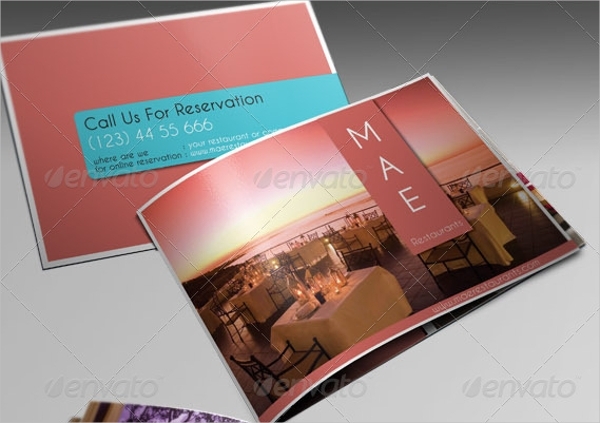 Given that anyone can just use the template you are using, changing the colors would make your brochure unique. 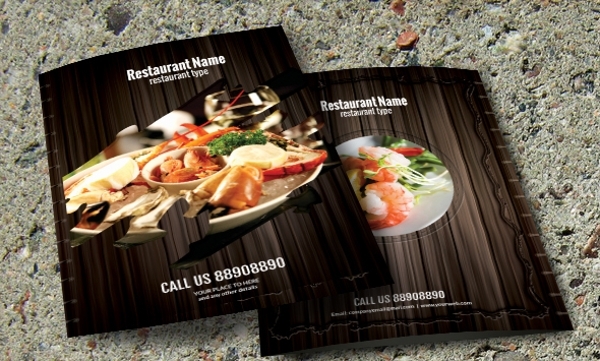 Match the colors with the theme you have in mind and improve the look of your brochure significantly. Layout and organization. Although the templates already have specific layouts on it, you need to make sure that you add your content on it properly. Organize what you need to add so it is easier to follow through.